Almost all the papers and embellishments are from Echo Park's "This and That - Charming" collection. The wood grain paper is however from My Mind's Eye's Stella Rose collection. 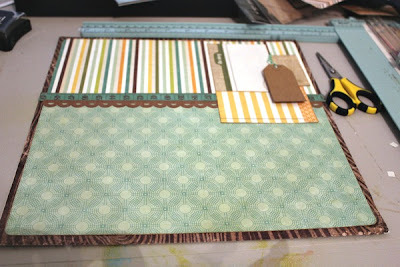 The kraft border is put out by Studio Calico and the kraft tags are by Maya Road. The buttons are from October Afternoon and American Crafts. There is even a little Amy Tangerine thrown in there. The story behind this layout is interesting enough. 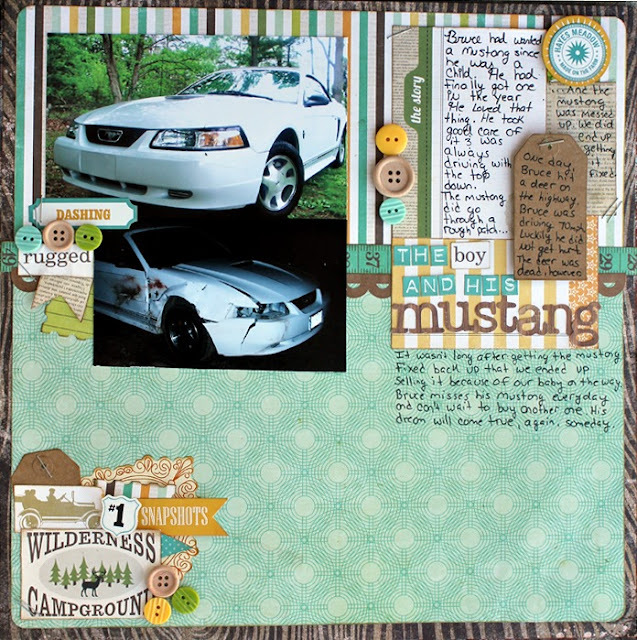 I won't go into great detail but the journaling basically just tells how my husband had wanted a Mustang since he was a child. When he finally got one he treated it like his baby. He loved it! Despite treating it so well, he was unable to avoid an accident. He ended up hitting a deer on the highway. He was going 70 m.p.h. so we're lucky that he didn't get hurt like the car (or the deer who suffered a sudden death). Insurance did pay to have it repaired. It looked almost brand new when we got it back. It wasn't long after that, however, that he ended up having to sell the Mustang due to the fact that a two door is not nearly as child friendly as a four door. He dreams of the day that he will be able to have his dream car once again. Hope you enjoyed! 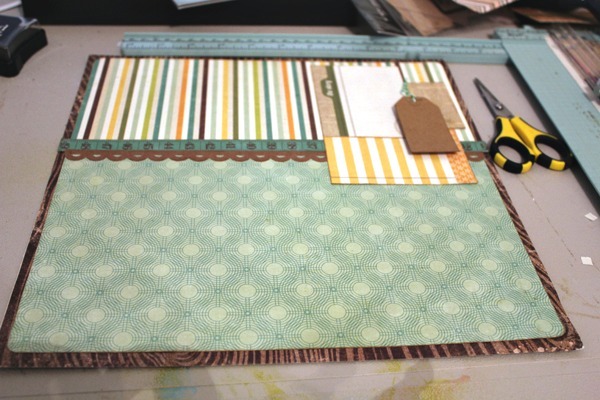 If you haven't already - head on over to Shimelle's blog and give her starting points a go. This is the first one I've done and I enjoyed it so much that I plan on going back and doing all the other ones she has already put out! Christina! This is a great layout. 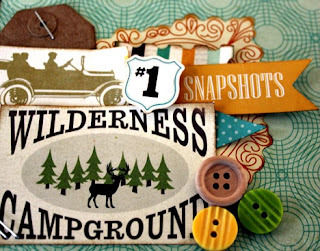 Love the fun details and fantastic journaling. Aren't those starting points fun? You did a great job with it! Really great job with the starting point! Love the product you used. Sorry about the car! Those deer are lethal! Love how your layout turned out. That second photo makes me say ouch, though. Poor car. A deer did all that? wow. Great job with the starting point! I plan on trying some more of them too...and hope they come out this well! I pretty much love everything about this layout!! Great layout, very cute color scheme! Can you believe I haven't followed Shimelle's blog? After seeing this I'm now a follower! wow I just made her sound like a religion lol! I'm really loving the starting points on her blog. Need to use them more often. Your layout looks great. I have the same line and I'm dying to use it but I just can't bring myself to cut it up yet. I think a mini album might be in my future with this line. Super cute layout!! 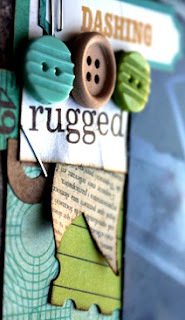 I love how you layered all the embellishments...very eye catching! Funny my hubby bought his first Mustang when I was pregnant with our second daughter. We didn't even test drive it as he was working and I didn't know how to drive a stick at the time, lol. Loved that car, man did it go....I have the speeding ticket to prove it, lol.